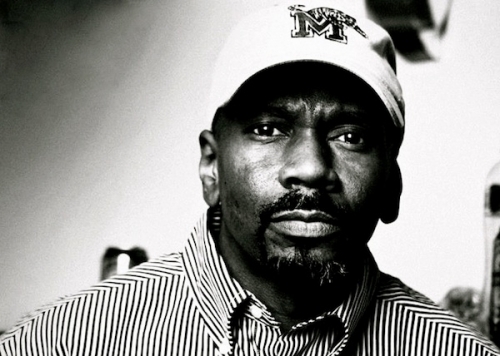 Larry Heard originates from Chicago, Illinois, where he is widely recognized for his activity in the progressive music community and has done session work and played with local bands of varying styles starting in 1977. He emerged publicly in 1985 from the roots of "House Music", with the debut single "Mystery of Love" under the "Mr. Fingers" moniker. This domain is where he found an outlet for his musical ideas. Most people who have followed his releases think of him as a multi-keyboardist, but a little known fact is that his development was as a drummer and percussionist in local Jazz-Fusion, Rock, R&B, and Reggae bands dating back to 1977. Larry's younger brothers dubbed him "Loose Fingers", enthralled by his swift hand movement dabbling with synthesizers, guitars, electric bass and doing some "fake" DJ'ing before he actually learned how to DJ in the early '80's. This name was later modified to Mr. Fingers. Larry likes to refer to his music as "Atmospheric" and "Passionate", and just one listen to some of his tunes confirms that statement. Larry composes lyrics and music of various styles, and always has an ample catalog of material on hand. He has performed Production, Writing and or Re-mixing tasks for numerous labels including: Capitol, MCA, Mercury, Warner Brothers, Virgin, EMI, Columbia, FFrr, Island, Circa and Relativity to keep the list at an arms length. Larry's history demonstrates a restlessly adventurous spirit that was instilled early in life, and this very spirit continues to drive his work. Larry says that he always receives positive responses when he lets people hear his music, rather than try to describe it. Add to that the fact that Larry has had loyal followers of his projects in Austria, Belgium, Canada, Denmark, England, Finland, France, Italy, Japan, Norway, South Africa, Sweden and Switzerland for over 25 years now, and that's just to name a few places where his creative work and name are widely known and respected.